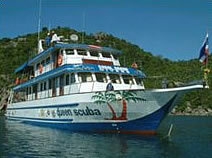 The Queen Scuba is a custom-built Thailand liveaboard, designed to provide you with comfort and convenience on your dive safari without breaking the bank. In its short life span so far, the boat has established an excellent reputation for customer service. There are three cabin types for you to choose the best match for your budget - Master, VIP and Budget cabins - all have en-suite bathrooms with hot water. 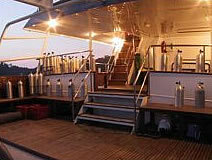 The Master cabin is one of the biggest on any liveaboard in these waters with a King Size bed and a TV/DVD player for your entertainment. There's a complimentary mini bar and the sea views are quite breathtaking. 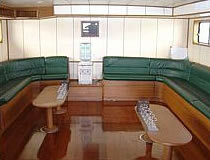 VIP cabins on the main deck all have double beds while the budget cabins below decks have bunk beds. 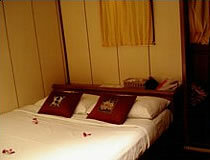 All beds are at least two metres in length ensuring a comfortable nights sleep for tall guests.